This is a handcrafted wooden bottle opener, made from pine, lightly sanded or wood burnt and ready to finish. It measures 15" tall and 5 1/2" wide. The cap catcher is 3 1/2" deep and 4" wide and it comes with a pre- drilled mounting hole at the top. There are several options available, including personalization, for you to choose from. The wooden parts are available in a natural finish or wood burnt finish. 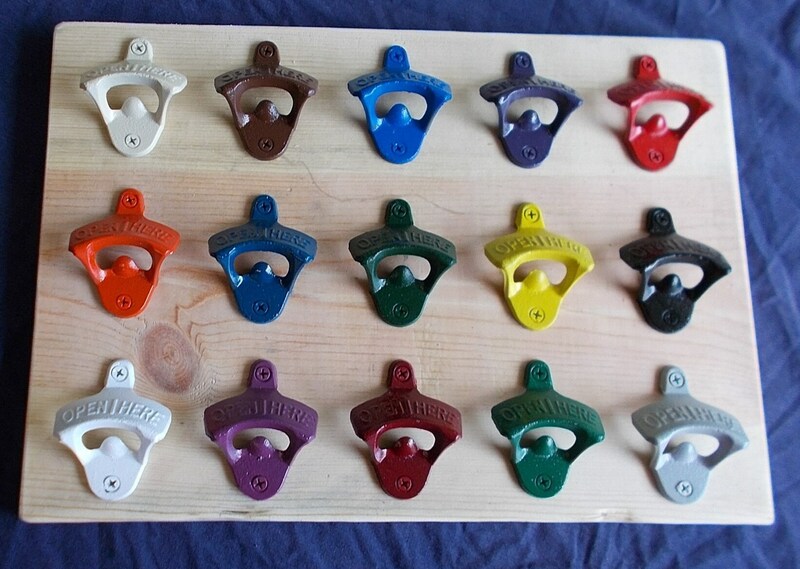 The opener is available in its natural cast iron color or choose from 15 other colors( see picture). Personalization is available two lines maximum and no more than eight letters per line. 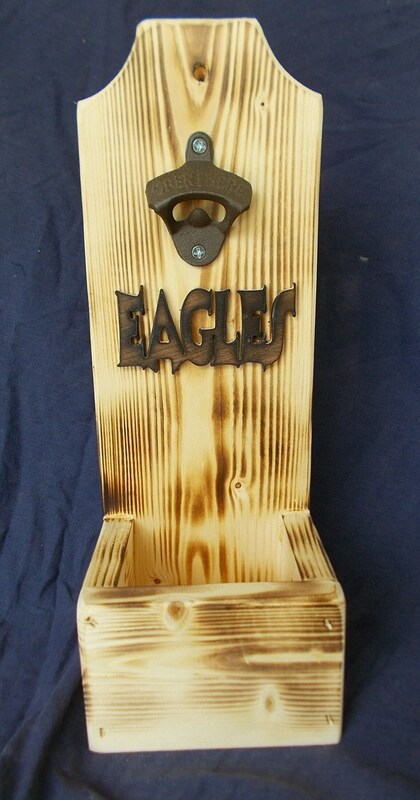 The names are hand cut from 1/4" birch and can be left natural or can be woodburnt as shown above in the EAGLES photo. 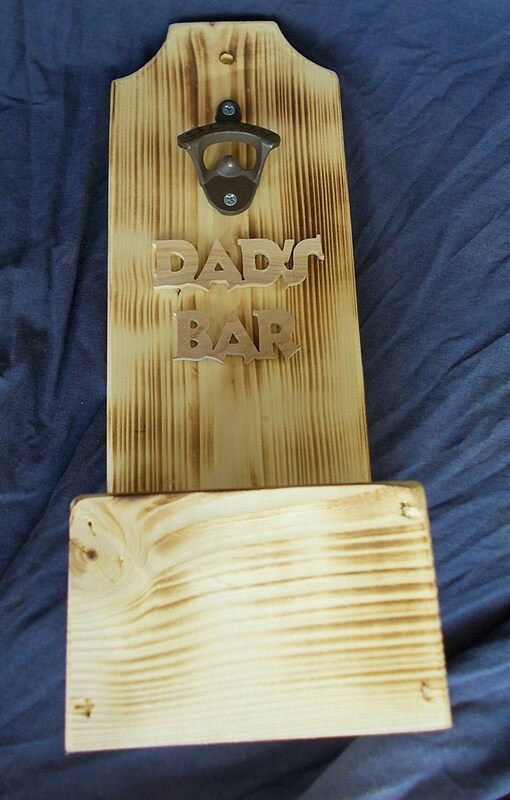 This item makes a great gift for the mancave, the bar or for the groomsman. 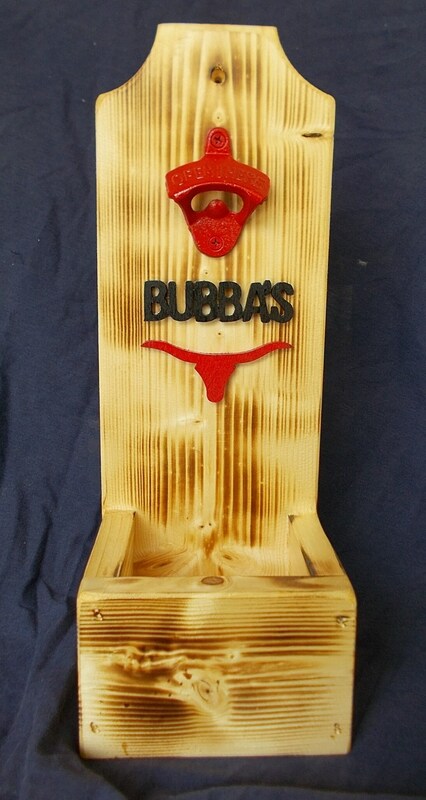 The photo shown above with BUBBAS is a completed project that was done for a local steak house, that always supports the community. This item is not available for purchase.